NEPA already knows: IF YOU WANT IT TO SELL, LIST WITH DANIELLE! Danielle is consistently ranked in the top 25 agents in Lackawanna County and the surrounding area each and every year for a reason: she simply outsells most of the Realtors/Brokers/Brokerage Owners of record. 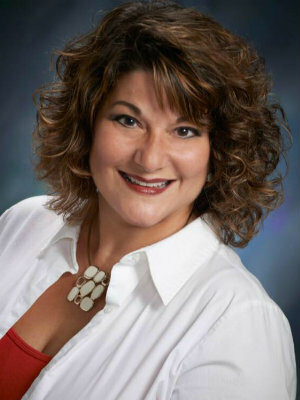 A lifetime veteran of professional selling since the day she graduated college, Danielle left corporate America and a position in Pharmaceutical Sales in 2003 so she'd never have to leave Lackawanna County and the surrounding area for work again. Her children came first and she wanted to be the one to tuck them in each and every night. It's that kind of passion for everything she does that makes her the agent she it. Nothing is done halfway and that's what makes her great. A "full-time, all-the-time" agent, Danielle sells between 6 and 10 million in NEPA real estate per year. She works 100% off of referrals from her prior client base and doesn't have to prospect for business because her clients are so delighted with her work they recommend her to their friends and family. An Associate Broker, not merely a Realtor, Danielle has also sat for her CNE certification. A CNE in real estate is a "Certified Marketing Expert." CNE's are highly skilled in negotiating and know how to get you top dollar for your home or when working for a buyer, the best deal on a property. Add to all this the fact that Danielle believes strongly in the power of print advertising and social media and puts her money where her mouth is on both counts. List with Danielle and you will see your home in the Scranton Times insert "HOMESOURCE" and The Times Leader's HOMES publication EVERY SINGLE ISSUE. That's unheard of. Danielle is also a huge social media presence and will assure that your home is as well. Working out of our Blakely office, Danielle is a resident of Eynon, PA. Give her a call and soon you'll say what everyone else does: WHEN IT'S TIME TO SELL, CALL DANIELLE! "My wife and I had the privileged of choosing Danielle as our real estate agent to purchase our first family home. We chose Danielle because she is ... more "
"Danielle was nothing short of the best around here! She took her time with capturing my home at it's best, analyzing the value of it for free compared ... more "